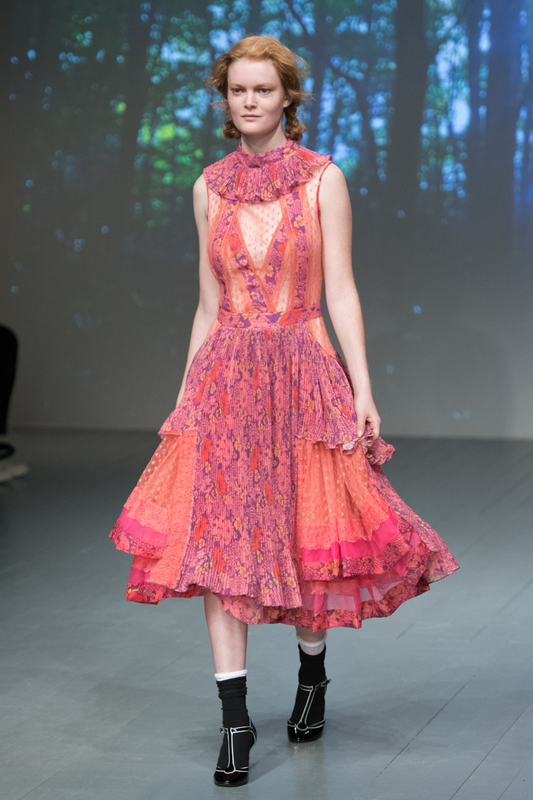 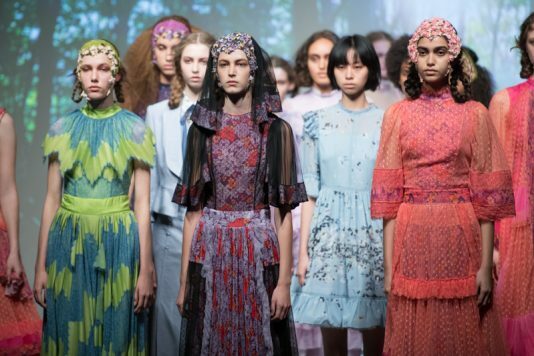 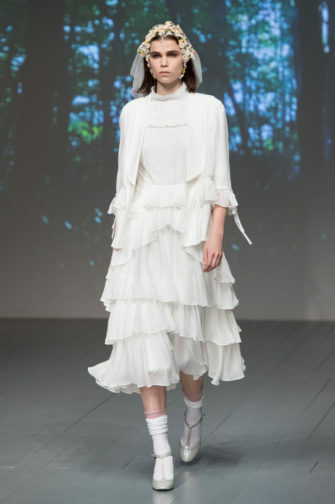 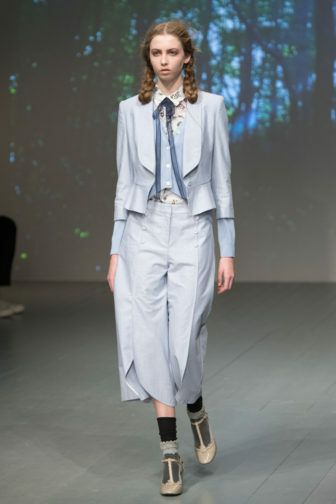 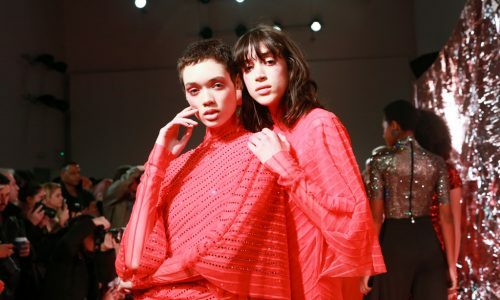 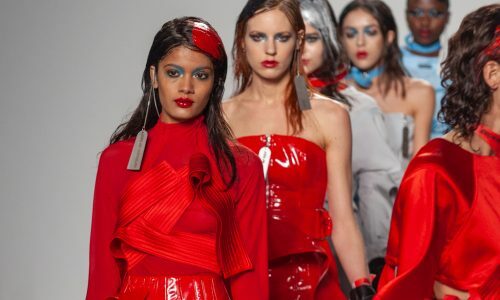 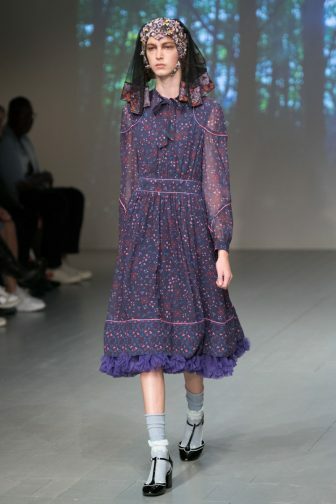 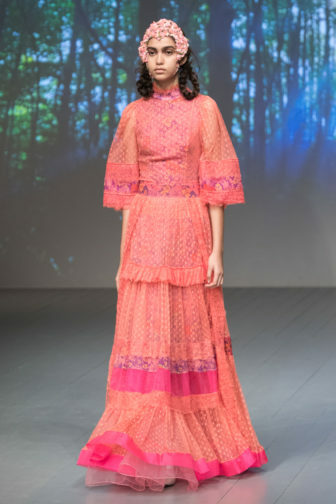 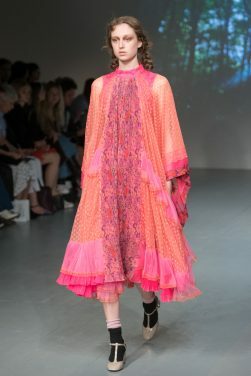 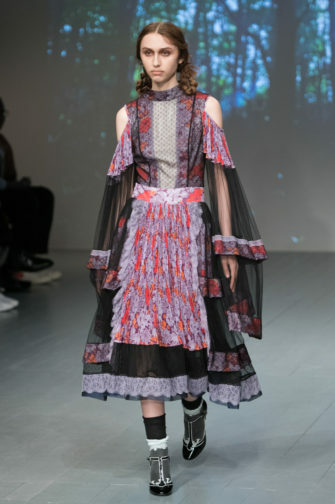 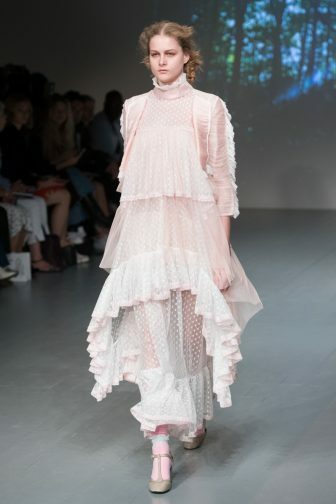 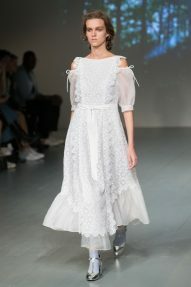 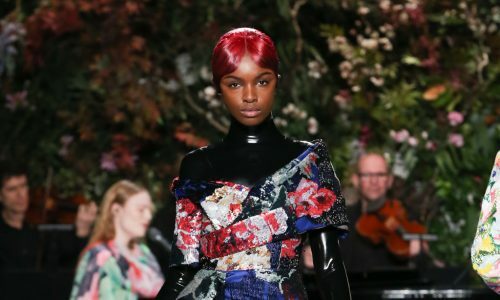 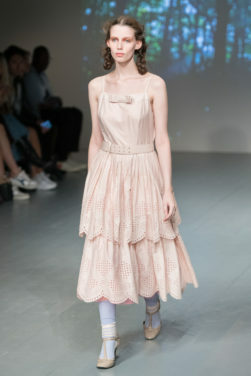 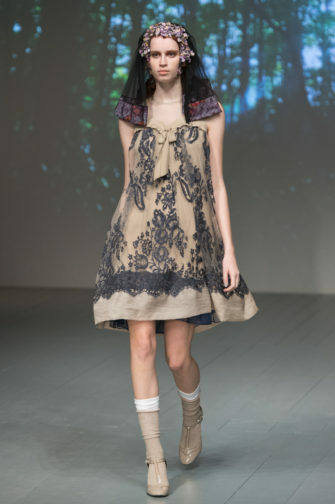 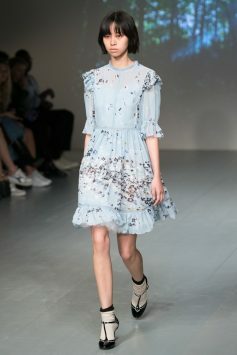 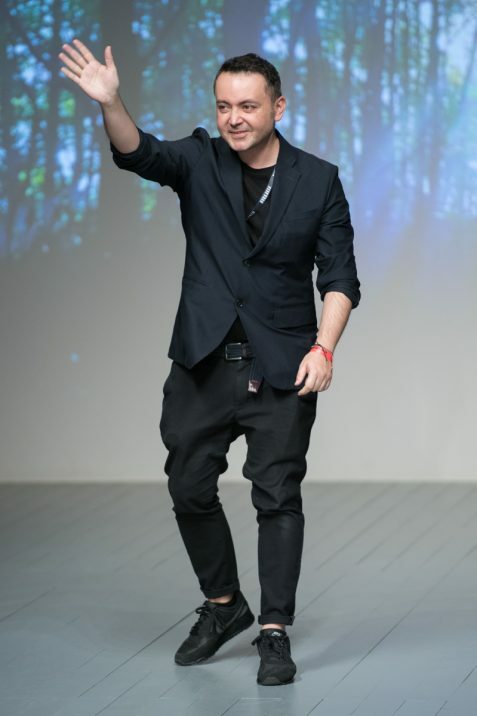 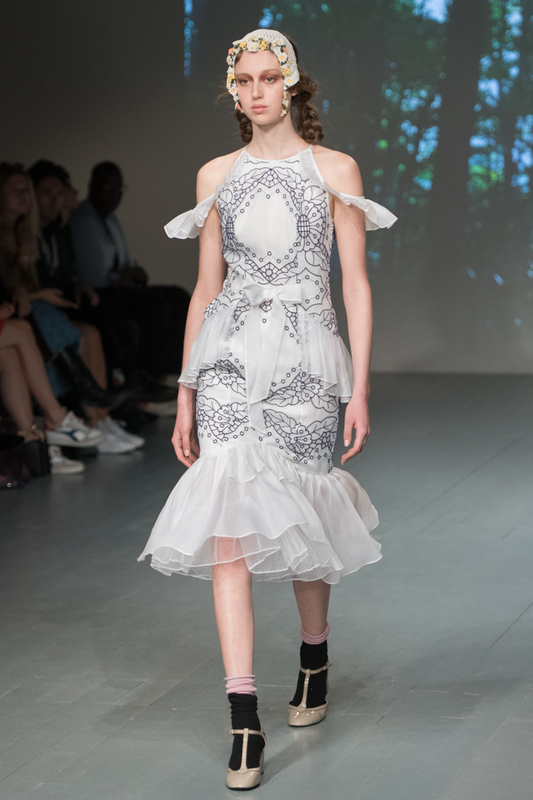 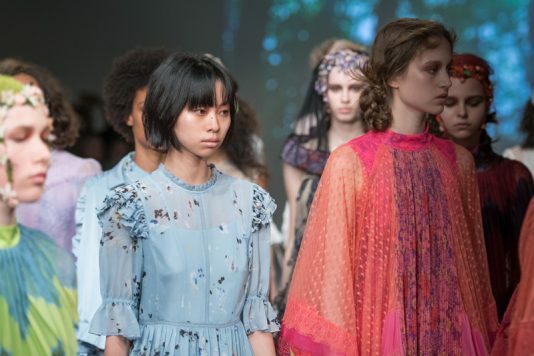 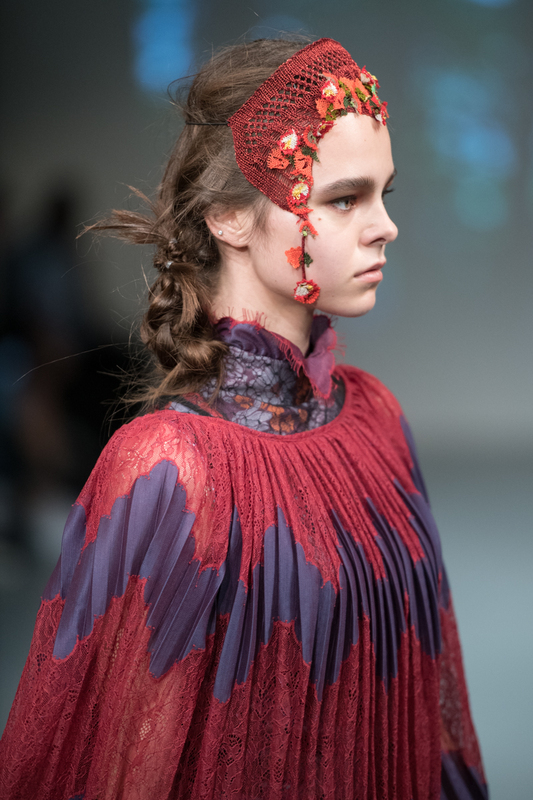 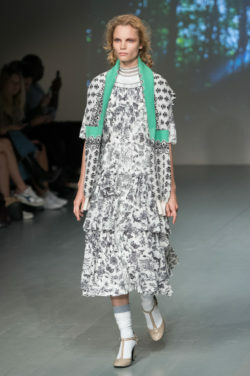 Soft and whimsical was the vibe of Bora Aksu’s spring/summer 2019 collection, which was inspired by Romani poetess Papusza. 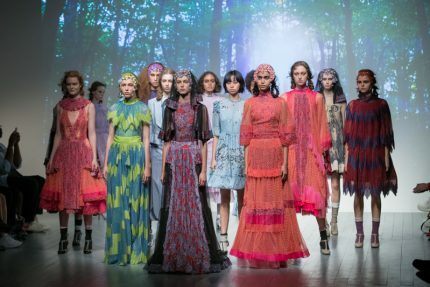 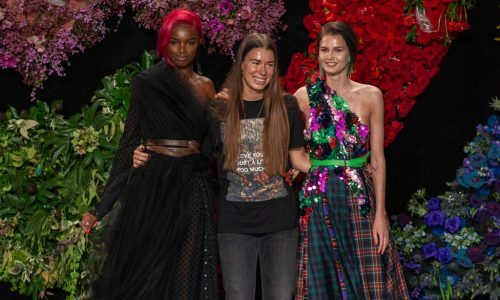 As the designer explained, “I wanted to create garments which reflect Papusza’s colourful nomadic life, her melancholic and sensitive self, as well as her determination to stand against the traditional limitations of her community”. 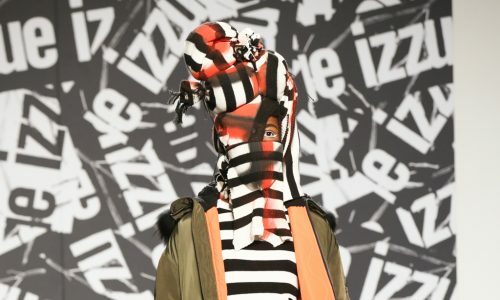 His sentiments were clearly conveyed in a meticulously nuanced way. 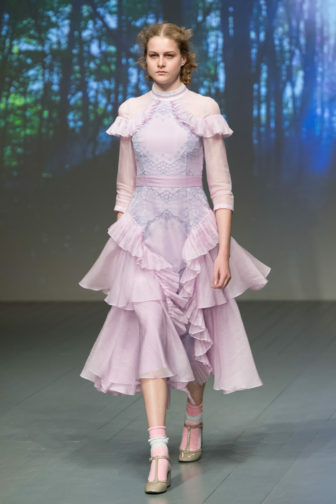 Delicate frills, lace and pleats (of the softer, fluid kind, rather than the harsh or sharp variety) brought an instantly feminine and saccharine sartorial. 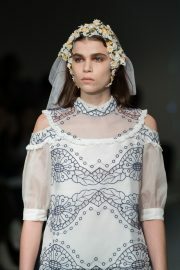 A sense of romance, youth and innocence married perfectly with Bohemia. 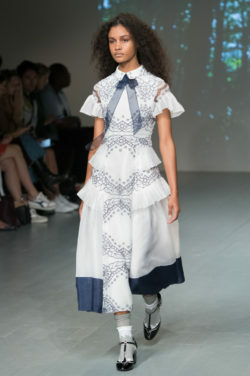 The collars, cuffs and ribbons of floaty dresses were comprised of fine embroidery. 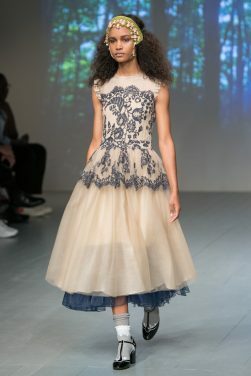 High Victorian-style necklines and hemlines that rarely rose above calf length were demure and conservative, yet the designs were far from austere; they were counteracted by sheer, lightweight organza and tulle that flounced with movement. 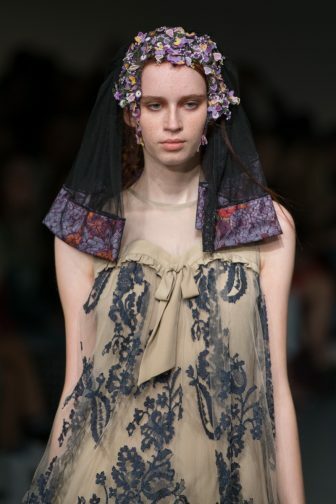 Detailing resembled the handmade creations and dress of Romani gypsies. 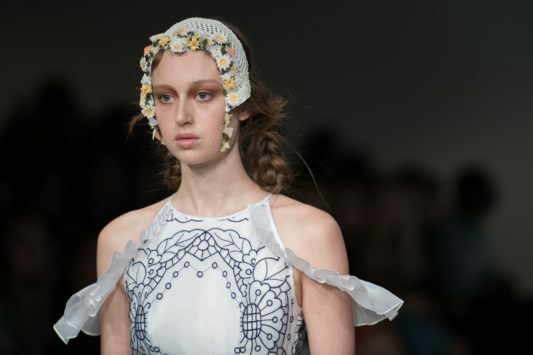 Meanwhile, bonnet-like headpieces consisting of tiny flowers framed faces. 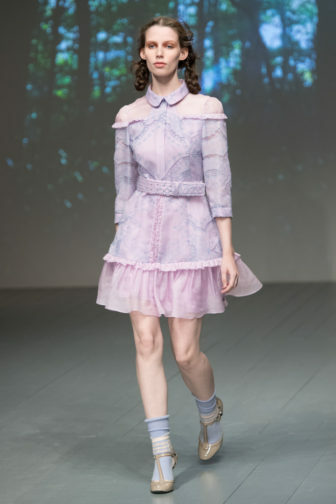 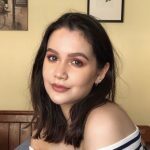 The shy bonbon hues of creams, baby blues and blush pinks worked in tandem with brighter colours of lilac, coral and purple, concocting the dreamiest of colour palettes. 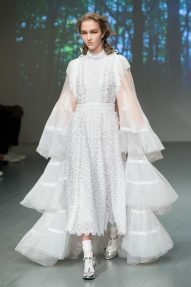 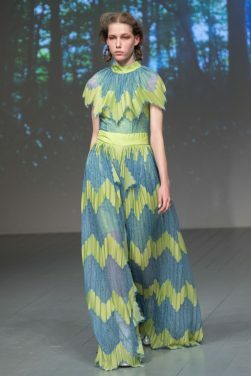 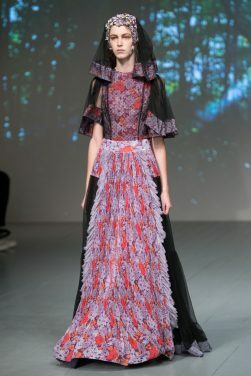 Playful tiered ruffles and ruched seams were reminiscent of Papusza’s early marriage, while the odd tailored garment represented her strength and determination. 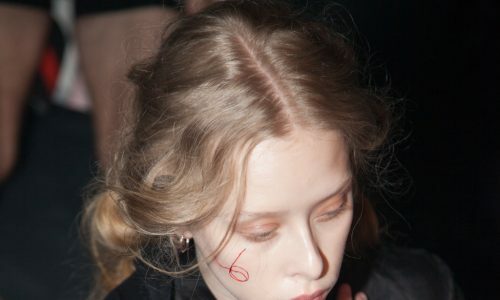 All round, a beautiful and touching sentiment.